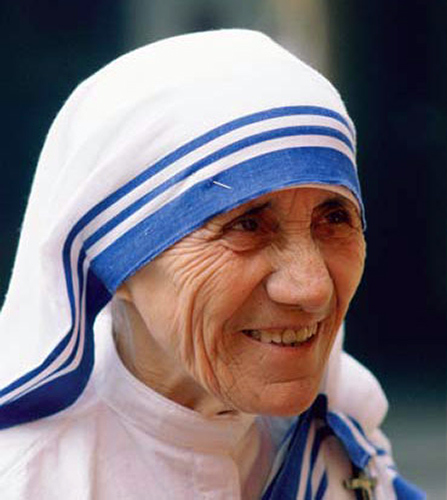 Heartfelt congratulations to the Missionaries of Charity on this unique privilege of their Foundress, Mother Teresa, being raised to the order of Sainthood as St. Teresa of Calcutta. Joining in the universal chorus of ‘rejoicing and thanksgiving’, especially West Bengal, India, we pray for her powerful intercession. 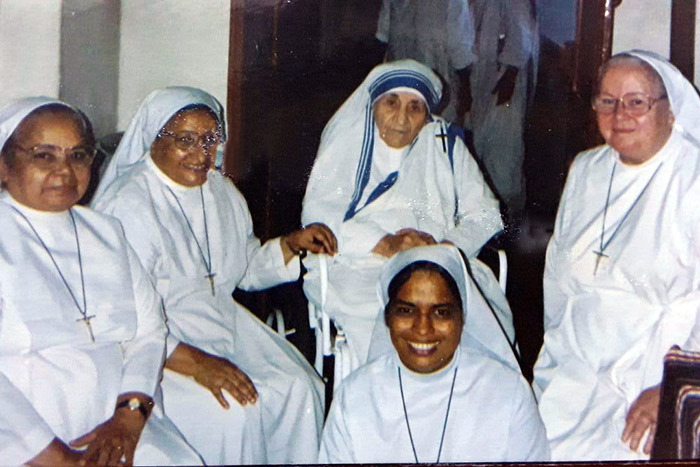 It’s also time to recall some precious memories where Cluny Sisters crossed paths with Mother Teresa. 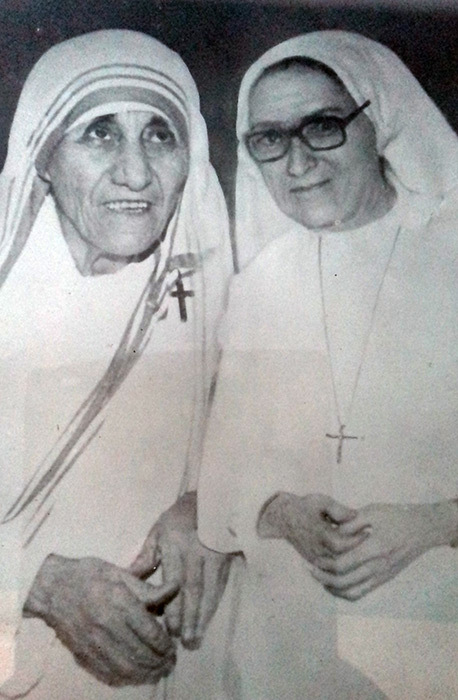 Sister Joseph Walsh, an Irish sister who worked in India for years, closely supported Mother Teresa in the early days of her difficult mission and there was obviously a very deep level of mutual understanding. The following extracts are taken from an article published in The Herald, on the occasion of Mother Joseph’s Diamond Jubilee. 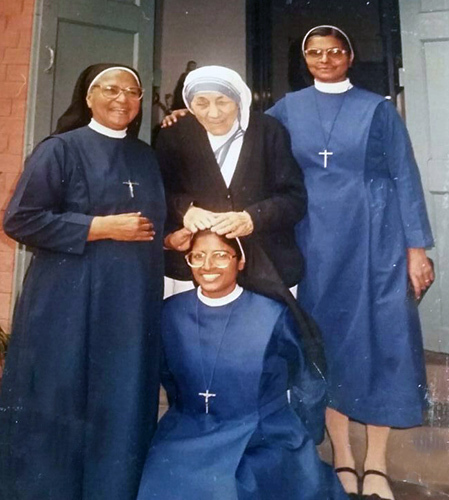 On another occasion Mother Joseph became suddenly ill (in Lavinia House, Kolkata) and it took all the sisters by surprise. For days Mother Joseph lay in a coma while doctors tried to diagnose and treat the illness. The sisters asked prayers from the priests and the religious in the city of Kolkata. One day when Cardinal Lawrence Picachy and Mother Teresa of Calcutta came personally to pray beside Sister Joseph, Mother Teresa said playfully to Sister Joseph during a rare lucid moment, “I have instructed St. Peter not to open the gates of Heaven just yet.” The invalid replied with matching humour, “Perhaps he won’t listen to you.” And she was back in the coma again. 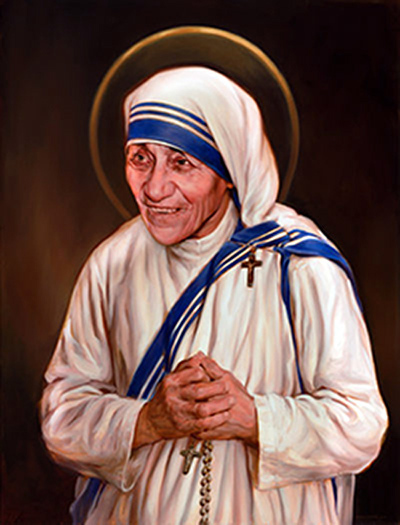 On the previous day of Mother Teresa going to China for the first time, at the Bishop’s house, Mother Teresa asked for my blessings first before she gave me her blessings! It was the privilege for our Bethany community, Darjeeling to offer hospitality to Mother Teresa and her Sisters who spent a week with us while making preparations for the foundation of their first community, Shishubhawan, Darjeeling. 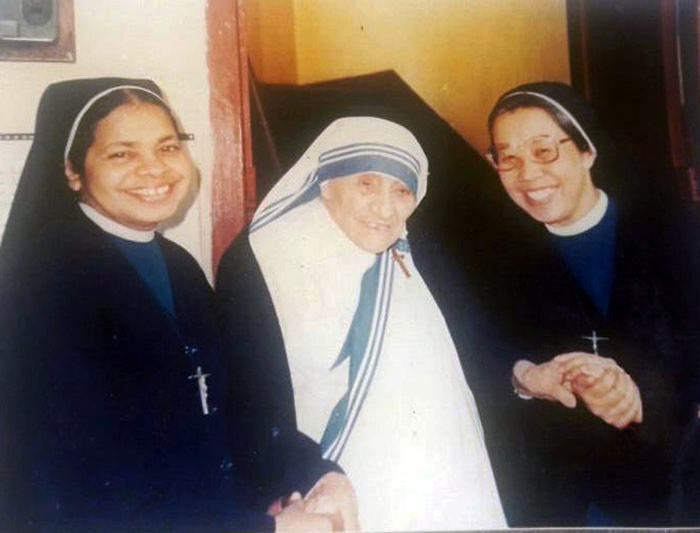 Many Cluny Sisters have had the unique joy of meeting and being blessed by Mother Teresa and continue to be blessed through their visits to the Missionaries of Charity’s Mother House in Kolkata. These experiences are always energizing moments.